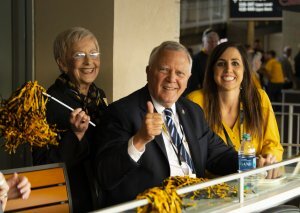 Georgia Governor Nathan Deal with his wife Sandra, left, and KSU Associate Vice President for Government Relations Julia Ayers. 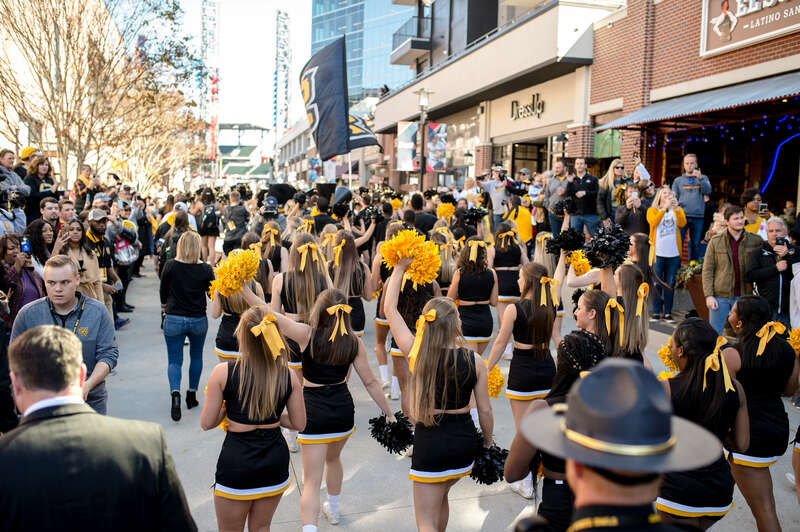 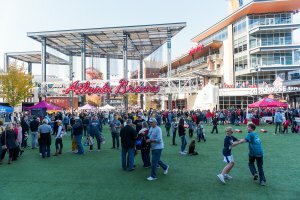 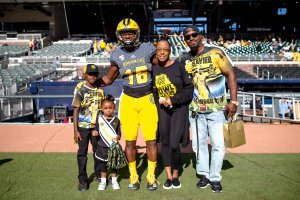 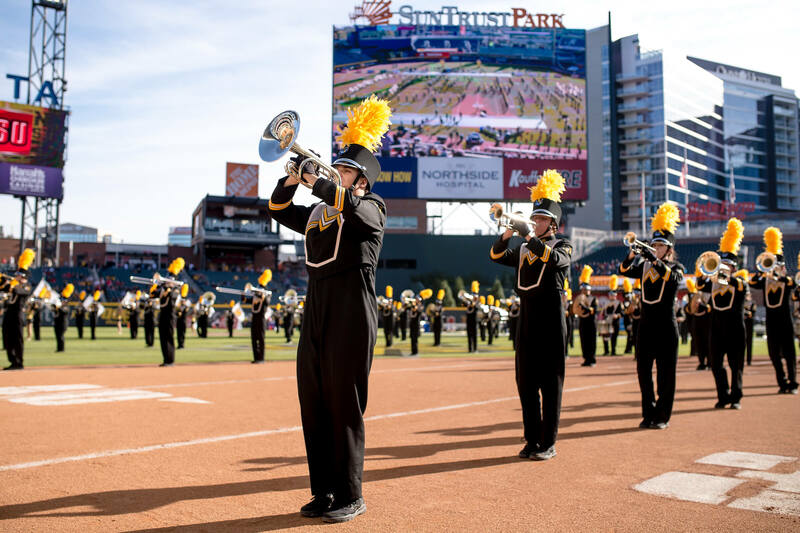 In the first ever football game at SunTrust Park, home of the Atlanta Braves, two top 10 FCS (Football Championship Subdivision) programs battled in a game for the ages as Kennesaw State University (KSU) claimed a 60-52 victory over Jacksonville State University (JSU) in five overtimes. 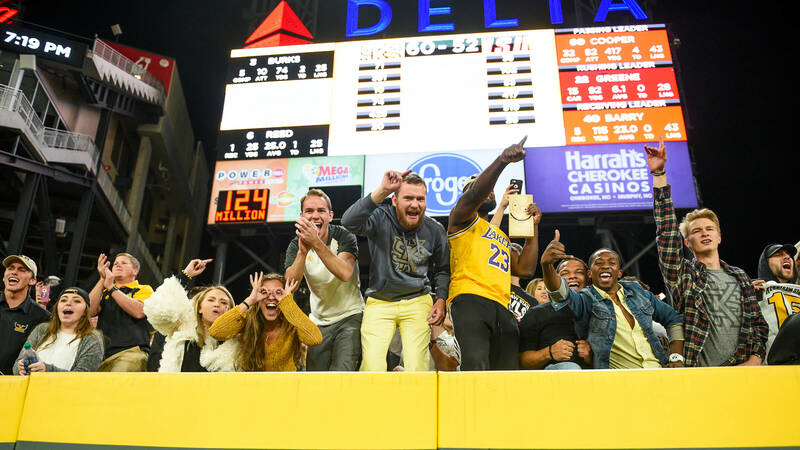 The thriller ended after Marietta native Bryson Armstrong intercepted a pass in the end zone from JSU quarterback Zerrick Cooper. 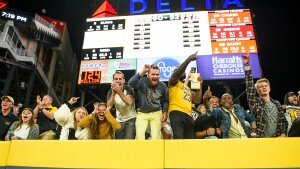 The teams matched each other step for step in the first four overtimes, more than doubling the score total from regulation. 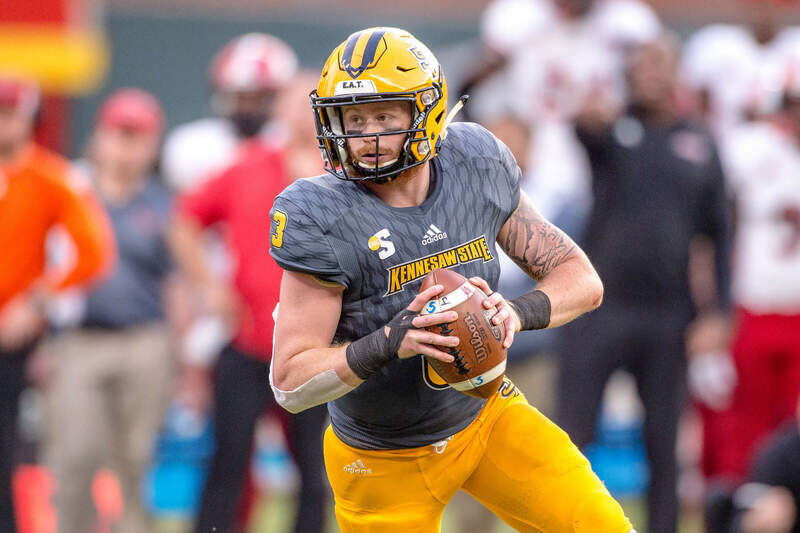 KSU scored late in the fourth quarter to send the contest to overtime off a touchdown from quarterback Chandler Burks from a yard out, followed by the extra point from Justin Thompson to tie things up at 24-24 with 4:52 to go. 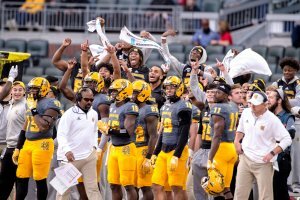 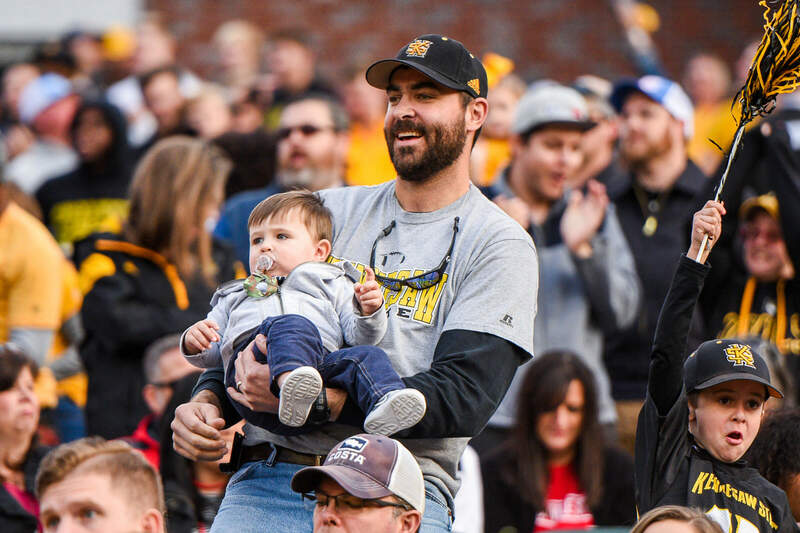 The Owls and Gamecocks already had claimed their respective conference championship titles for the season, earning both teams an automatic bid into the FCS playoffs. However, the SunTrust game carried the weight of the winner being selected as a seeded team in the postseason. 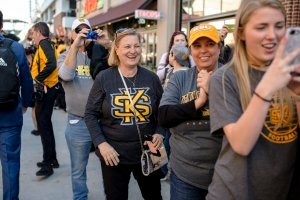 With the win, Kennesaw State became the No. 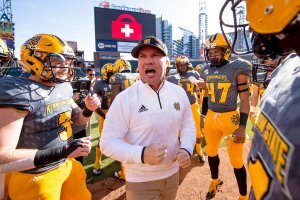 4 seed in the FCS playoffs, earning a first-round bye in the tournament. 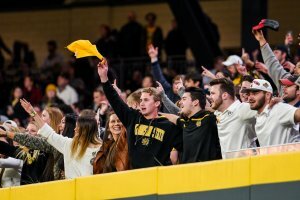 KSU student section cheering on the Owls. 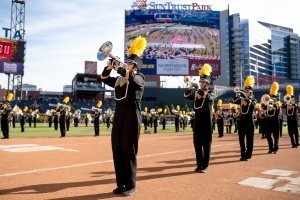 The Marching Owls Marching Band pregame. Fans line walkways in the Battery two-hours before kickoff to welcome the team to the stadium for the Owl Walk. KSU head coach Brian Bohannon hyping the team up before taking the field. Graduate student wide receiver Xavier Harper with his family on the field pregame. 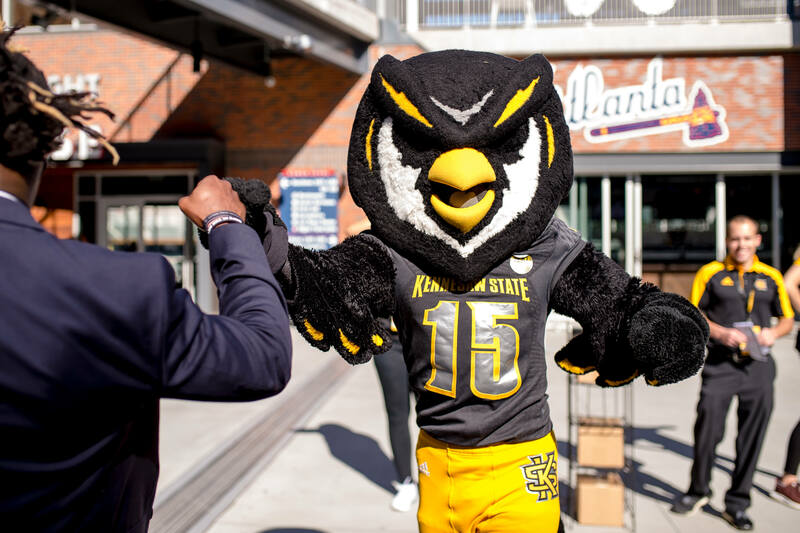 KSU Mascot, Scrappy, in the Battery pregame. 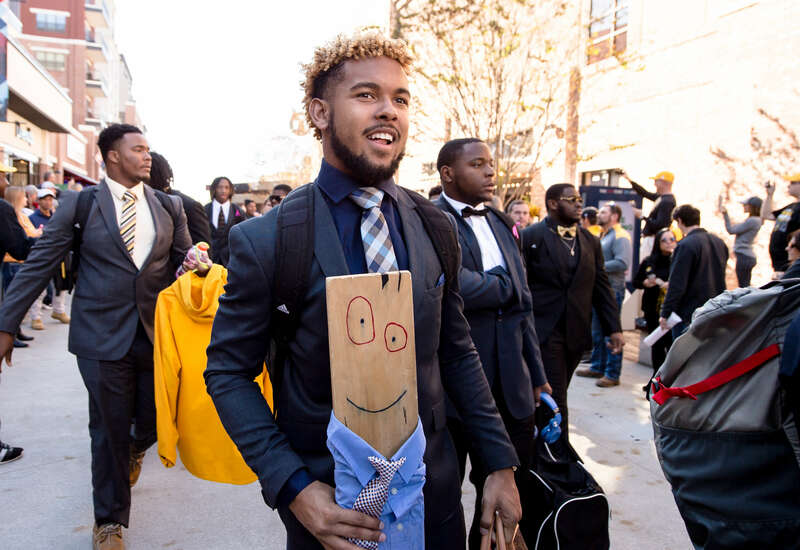 Kennesaw native and junior defensive back Tanner Jones carrying the Turnover Plank through the Battery during the Owl Walk. 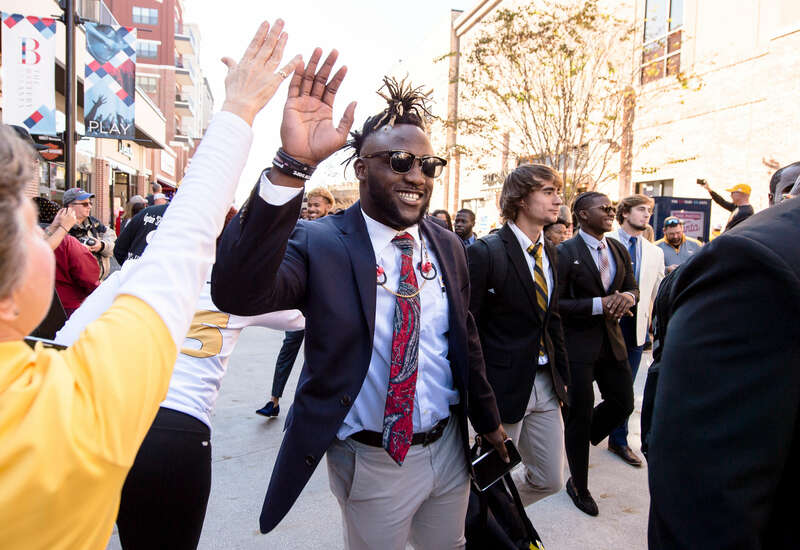 Senior running back Darnell Holland, high-fiving fans during the Owl Walk. 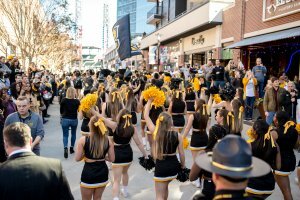 KSU cheerleaders during the Owl Walk in the Battery. 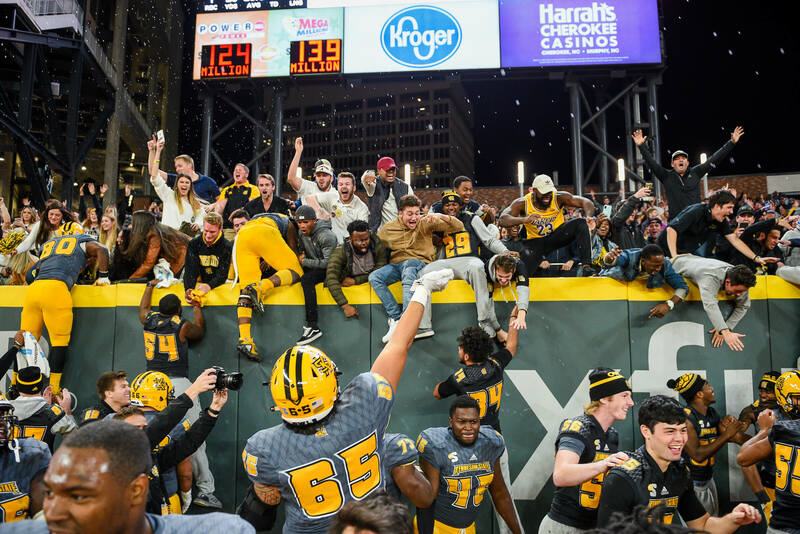 Postgame celebration after the Owls beat Jacksonville State 60-52 in five overtimes. 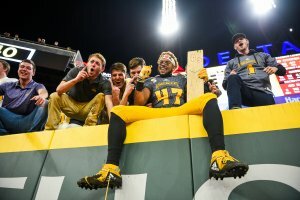 Kennesaw native and junior defensive back Tanner Jones celebrating the win with the KSU student section and the Turnover Plank in hand. 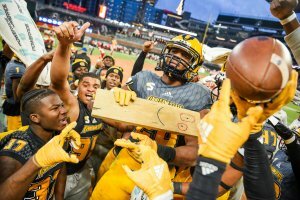 Freshman defensive back Cincere Mason celebrating with the Turnover Plank after intercepting a pass. KSU sideline celebrating a touchdown during one of the many overtimes. Graduate student quarterback and South Paulding High graduate Chandler Burks looking to throw. Young family enjoying the game. 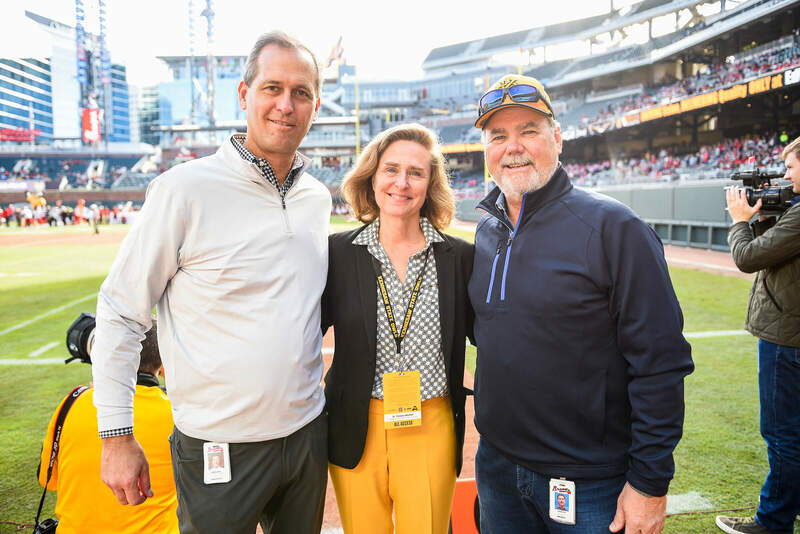 Atlanta Braves President & CEO Derek Shiller, KSU President Dr. Pamela Whitten and Braves Development Company President & CEO Mike Plant. 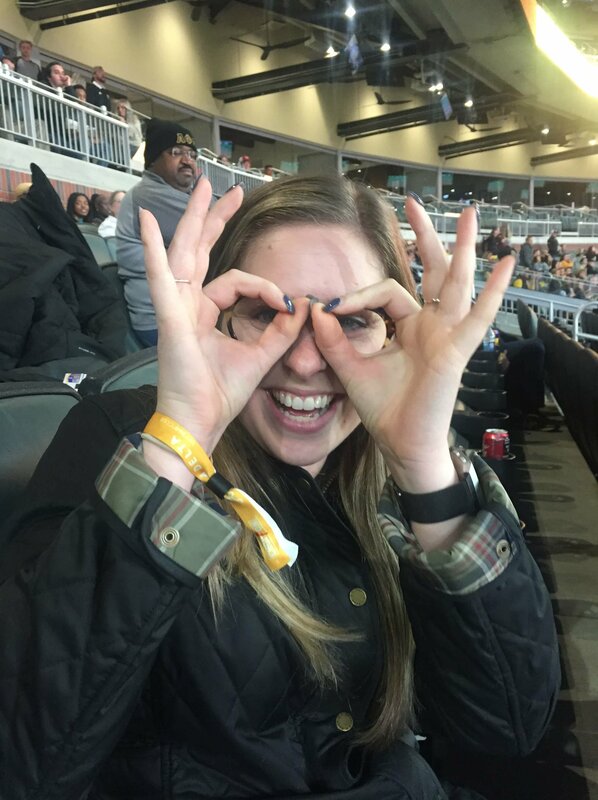 Molly Parker putting up her owl eyes in the Delta Club seats during the game. 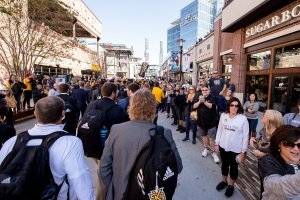 Fan zone area in the Battery outside of the stadium. 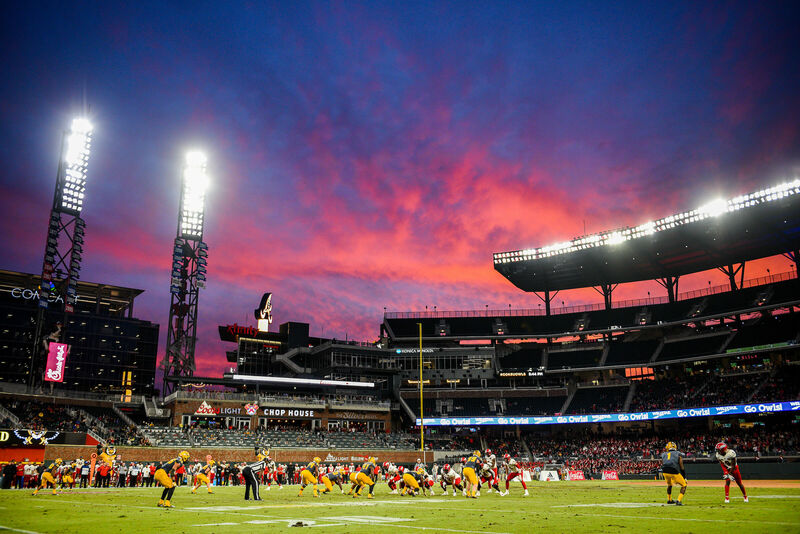 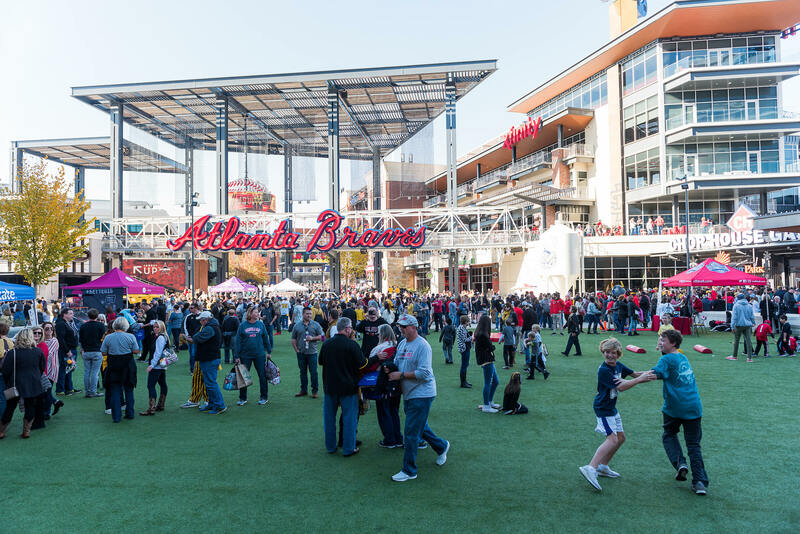 SunTrust Park, home of the Atlanta Braves, hosting its first football game. 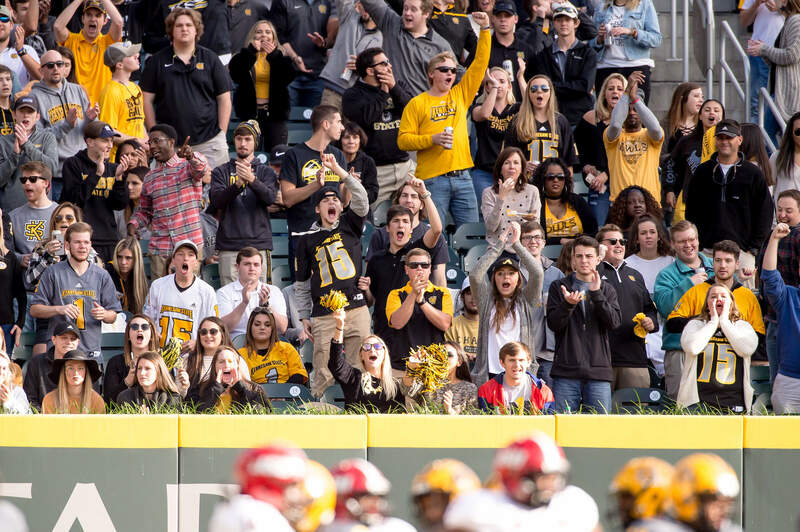 Photos courtesy of KSU Athletic Communications.